Overhauling the digital presence of one of London’s top modelling agencies. 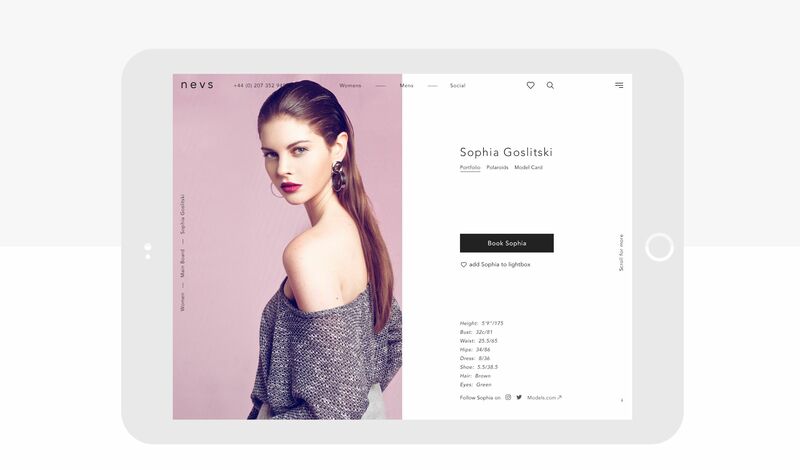 The Giant Peach and Nevs journey began back in 2013 when the modelling agency approached us for help focussing and refining their digital strategy. Once we had successfully turned around their social media presence, Nevs quickly recognised the need for a new website that would be user-friendly for clients and bookers, easy to maintain and not prove a drain on resources. Four years later, in 2017, it was time for a redesign. 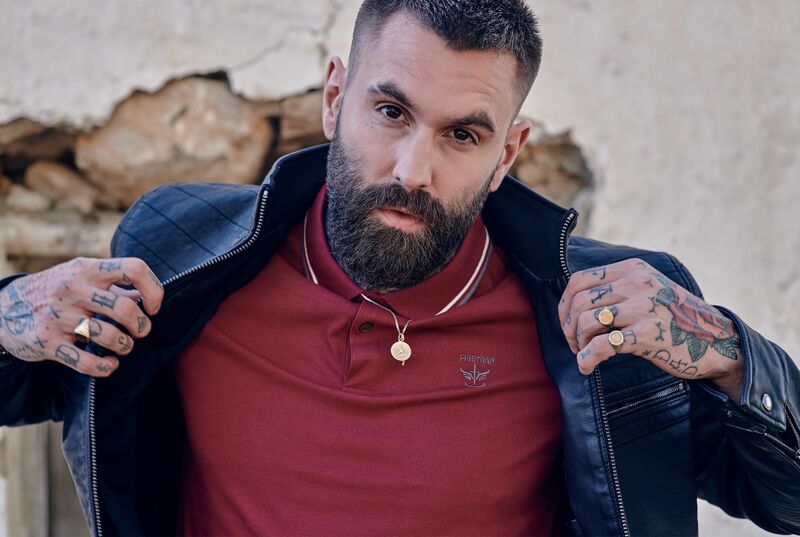 Nevs were keen to stay ahead of the curve, utilising Giant Peach’s trend spotting and build on what they had. They were very happy with what they’d achieved but felt that there was scope to improve their brand impact and the sites overall experience. Our first step was to combine the agency’s multiple accounts, consolidating time and effort and increasing attention on posting to and maintaining one account. The strategy resulted in a dramatic increase in Twitter followers from 2,124 to over 13,000. When it came to the website design and build, we had two priority aims. Firstly, to deliver a contemporary website, but secondly, to create something that would work hard for Nevs, streamlining their existing processes and reducing day-to-day admin. We identified the need for a wishlist and lightbox function, allowing bookers to assign groups of models to specific client requirements and share them via email or social media. Clients or visitors to the front end could do the same. As well as the lightbox function, we introduced a predictive search to live-filter results as terms were typed. Page filters were added to categories, and heart icons to each model at list level – much like creating a wishlist on an eCommerce site. 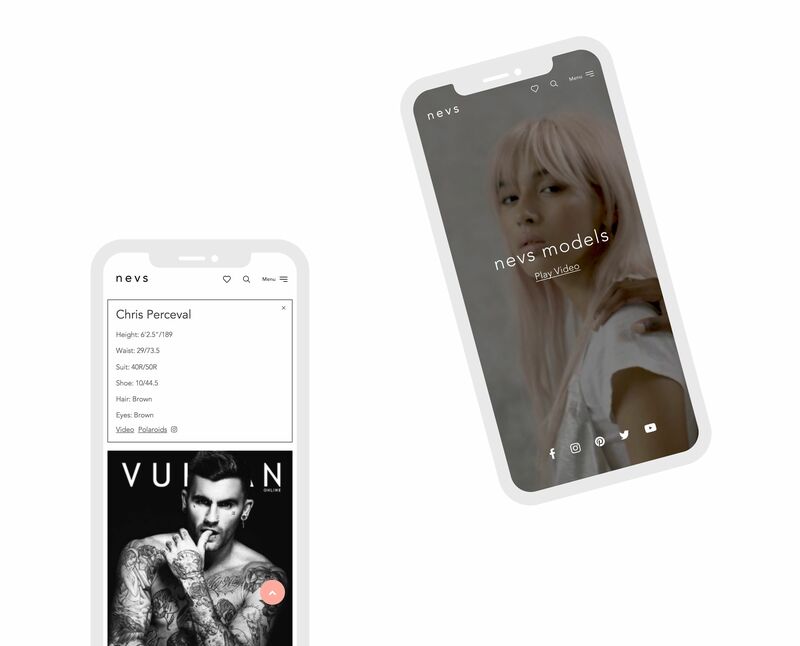 With 42% of traffic to the Nevs site coming from mobile devices, and models needing to be able to access their portfolios on multiple devices, it was vital that the site was fully responsive. For the models, the third key user after bookers and clients, we were able to separate different galleries, vital statistics, links to their own social media channels and important calls to action, while limiting any additional functionality or superfluous code that would slow the page down.